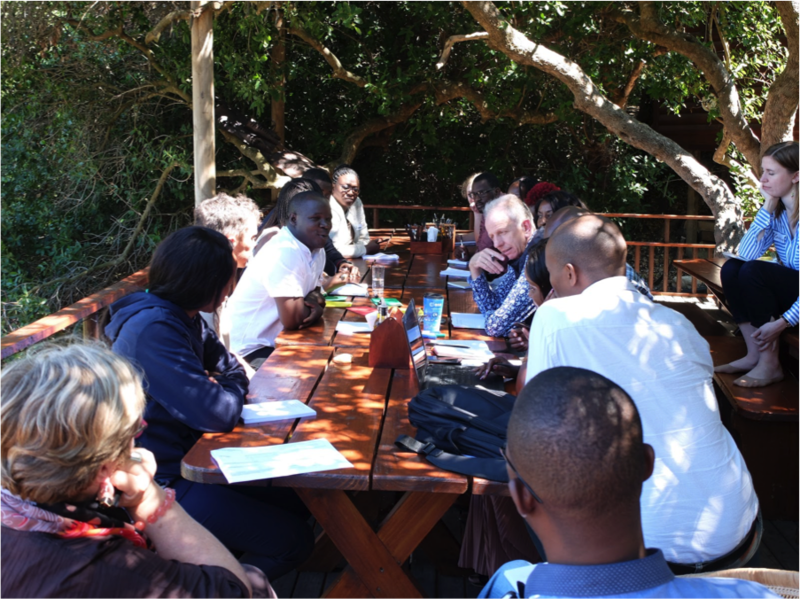 From the 13th – 15th of February team members of FRACTAL met in Cape Town to discuss and reflect on the programme’s work to date, its impact and its future. 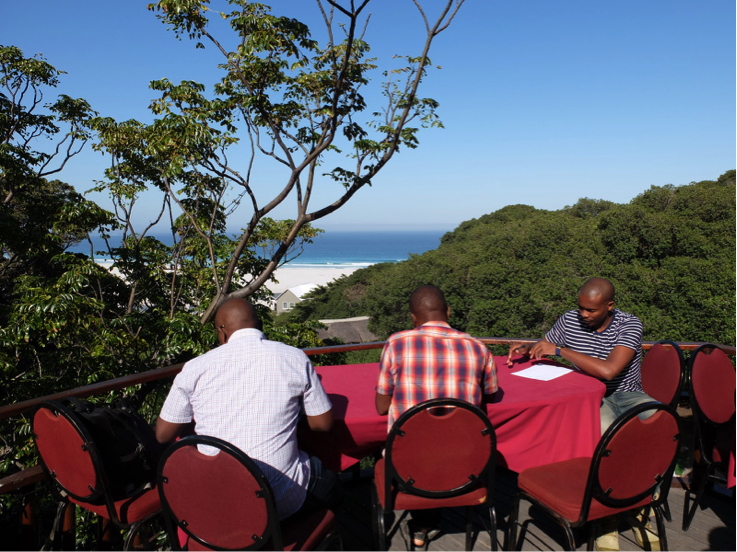 Highlights include advances in climate science over the region, learning from the nine southern African cities partnered with FRACTAL, and experiences from the network of embedded researchers within these cities. In break-out groups, team members discussed the progress FRACTAL has made over the past year. Nine FRACTAL city partners presented feedback on the diverse impacts FRACTAL’s work has achieved in their respective cities. “FRACTAL played a huge role in our Windhoek Climate Change Strategy” said Mr Olavi Makuti an officer in environmental management at the City of Windhoek. Thanks to FRACTAL, the Lusaka sanitation plan now details the rehabilitation, upgrading and expansion of climate resilient infrastructure and creates a policy entry point to integrate climate change in city planning more permanently. In Durban, FRACTAL is contributing towards the training of all city planners on the use of climate information and the importance of integrating this into their work. FRACTAL also facilitated new relationships through which climate change can be integrated into city planning. “FRACTAL introduced me to the Mayor’s office… It gave the University of Namibia a foot in the door with the city to do relevant research.” said Prof. John Mfune the head of department in bIological sciences at University of Namibia.In Lusaka, the FRACTAL process enabled a closer relationship between city officials and the national meteorological agency, enabling officials to request specific data from the agency. Says Dr Lapologang Magole the headof department in architecture and planning at University of Botswana: “[FRACTAL] was the first initiative that brought city water and climate change stakeholders together… City management became keen and supportive to address climate change risks.”These new informal networks are laying the foundation for long-term impacts and building the receptivity of local stakeholders. Embedded researchers have been a key part of FRACTAL’s strategy to co-produce climate knowledge with city partners. 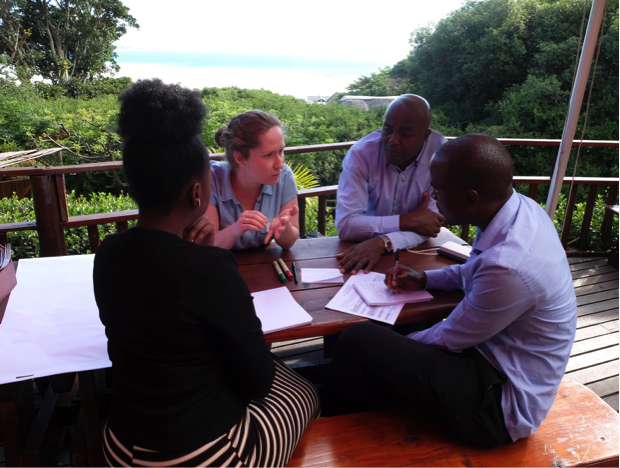 At the meeting, embedded researchers shared their experiences of being a bridge between policy and research and finding the entry points for climate information in local contexts. For Rudo Mamombe, embedded researcher in Harare, this was not always an easy task: “FRACTAL took us from mistrust and ignorance to trust and relationship in the Harare City Council.” Thanks to Rudo’s efforts, the Harare City Council is now more receptive to exploring the links between climate change and development stressors in the city context. 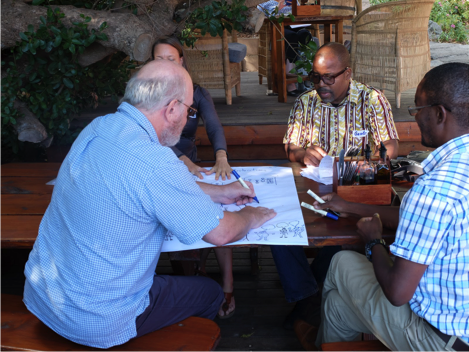 In Windhoek the timing of FRACTAL’s work was ideal as it occured at the same time that a climate change desk within the city was established. This allowed for a much easier uptake and more opportunities for entry points for Windhoek embedded researcher, Kornelia Iipinge. Joining the city as it was undergoing re-organisation, was key to understanding the city’s structure and embedding the FRACTAL engagement accordingly. For Cape Town external events such as drought allowed for stakeholders to be more receptive of climate change information into the City decision making and planning processes. Substantial time was also devoted for scientists to feed back on advances being made in regional climate science. Most notably, the climate science team has made significant advances in understanding the reason why models disagree with each other. Similarly, they have assessed why climate data from observation datasets are contradictory. A core aspect of the climate science work revolves around the applicability of climate data and information within city contexts. As such, distilling appropriate information from the plethora of available data remains a significant challenge. For Maputo, one of the key climate change issues to address is the link between climate change and waterborne diseases. With the National Institute of Health, the City is developing an interactive web-based tool to help predict hotspots of malaria or cholera outbreaks following heavy rainfall around the city, and where these outbreaks are relative to the most effective treatment centres. Developing legitimate and defensible climate risk narratives for African cities have been central to climate science in FRACTAL. “Whilst the narratives involve only very basic science (climate facts established with very high certainty), their usage is wide-ranging” says Dr Chris Jack from CSAG. In Lusaka the FRACTAL climate risk narratives also provided evidence for the climate rationale for a Green Climate Fund application, demonstrating the potential value of narratives for supporting adaptation finance.In Gaborone the climate narratives initiated further requests for more climate information and training. “Climate narratives are a humble and humbling way to communicate climate change.” says Lapologang Magole. There were a number of challenges faced by cities in the process. Blantyre is experiencing a slow uptake of climate information, attributed to high staff turnover and lack of continuity in public institutions, and lack of coordination amongst development partners. 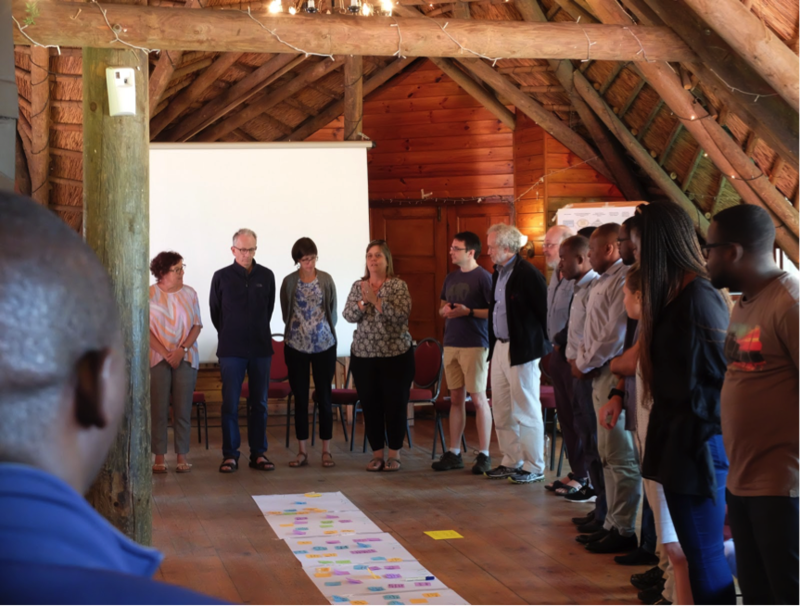 For the City of Johannesburg, Colleen Vogel challenged stakeholders to understand power relations and systemic issues that drive the city’s functioning. A group photo of FRACTAL embedded researchers. A key aspect of FRACTAL has been the work of the embedded researchers who try to act as knowledge brokers and the bridge between climate scientists and city officials and decision makers. 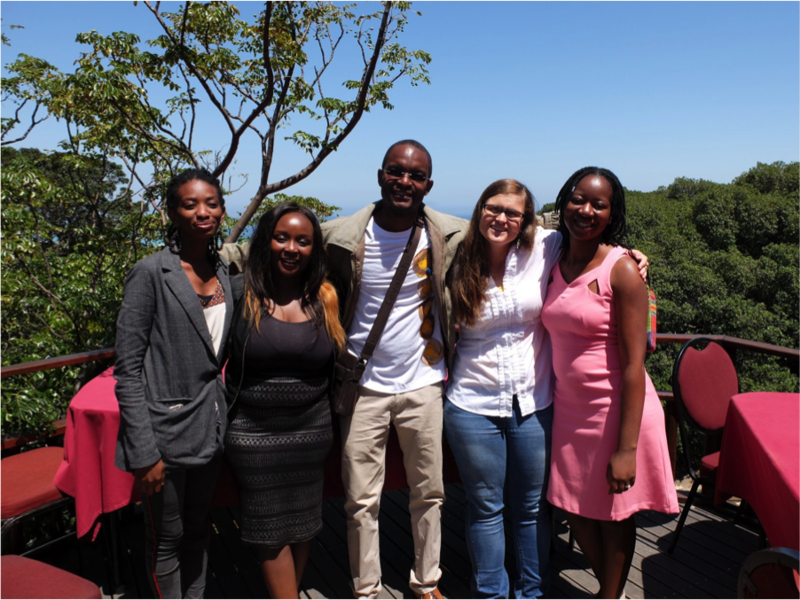 From L to R: Kornelia Iipinge (Windhoek), Brenda Mwalukanga (Gaborone), Hecralito Mucavele (Maputo), Lulu van Rooyen (Durban), and Rudo Mamombe (Harare). In groups, team members discuss and sketch out the FRACTAL city impact stories. As FRACTAL heads into its final six months of research, the focus will be on publishing final scientific papers and hosting the final city events. It is clear that the network of FRACTAL partners have built up a strong head of steam in the region and that the appetite is there to extend work beyond this initial funding window.Team members brainstormed, and sketched, pathways to maintain the momentum of the network and leverage the previous investment in a strong foundation of collaboration, trust, and relationships. Discussions around proposed activities planned out for the last 6 months of FRACTAL. Team members were given time to reflect and record their thoughts on their journey with FRACTAL and provide recommendations on how to continue FRACTAL’s legacy.